The original Nikon 80-400VR lens was introduced back in 2000 BD (Before Digital) and was the very first Vibration Reduction or VR lens Nikon produced. 🙂 I have been wishing, hoping and begging Nikon to come out with a newer version with faster focusing (original was a screw mechanism from the camera body which does not work with all digital Nikon SLR cameras) and better VR (aka Image Stabilization). New Nikon 80-400mm AF-S f/4.5-5.6G ED VR Telephoto Zoom Lens. Click for more information and pre-order. Finally, this week Nikon announced the latest version of the Nikon NIKKOR AF-S 80-400mm F4.5-5.6G ED VR Lens. The AF-S in the listing is the best part. The lens now has it’s own focus motor which will make keeping focus on moving subjects like birds, race cars and athletes much, much easier. The S stands for silent. The original lens is not quiet when it comes to focusing and engaging the VR. The VR is said to be good up to 4 stops in the new version compared to 2 stops in the original specs. Yes, the price is a bit higher but not unexpected. If you compare it to the Nikon 400mm f/2.8 VR Lens, it’s a bargain. Listen up, too. If you use it with the new Nikon D7100 dSLR DX camera, you’ll get nearly an 800mm f/5.6 lens with the 1.3x Crop mode. Compare that to the newly announced Nikon 800mm f/5.6 VR lens and you could say this lens is cheap! Want to hear something even crazier? 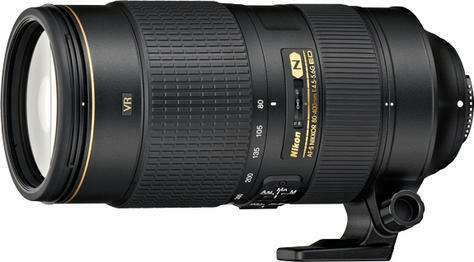 Nikon has extended their amazing dSLR lens sale to the end of March, 2013. Now is the perfect time to get a new Nikon lens! This entry was posted in Photography and tagged 400mm, 80-400mm, 800mm, d7100, dslr, f/2.8, f/5.6, lens, lenses, new, nikon, sale, vr. Bookmark the permalink. Purely comparing the focal lengths and not the image quality. I know the 800mm f/5.6 is far superior. For the rest of us, the new 80-400VR on a D7100 is the next best option. I forgot to mention it can use a 1.4x Teleconverter, too. Though auto focusing is only supported on dSLR bodies released in the last year with the TC. OK, agreed. I still wonder how sharp the 80-400mm will be in the center of the image, hopefully as good as the 70-200mm f/2.8. I am looking forward to real test images at 100% crop factor.